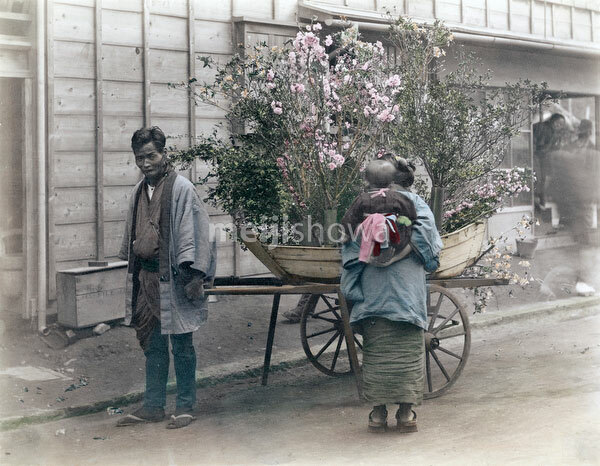 A flower peddler wearing a short coat pulls a boat-shaped cart filled with flowering branches. A woman carrying a child on her back is carefully examining his wares. See blog entry.